Caskey-Beazley, Attic Vase Paintings (MFA), no. 131. 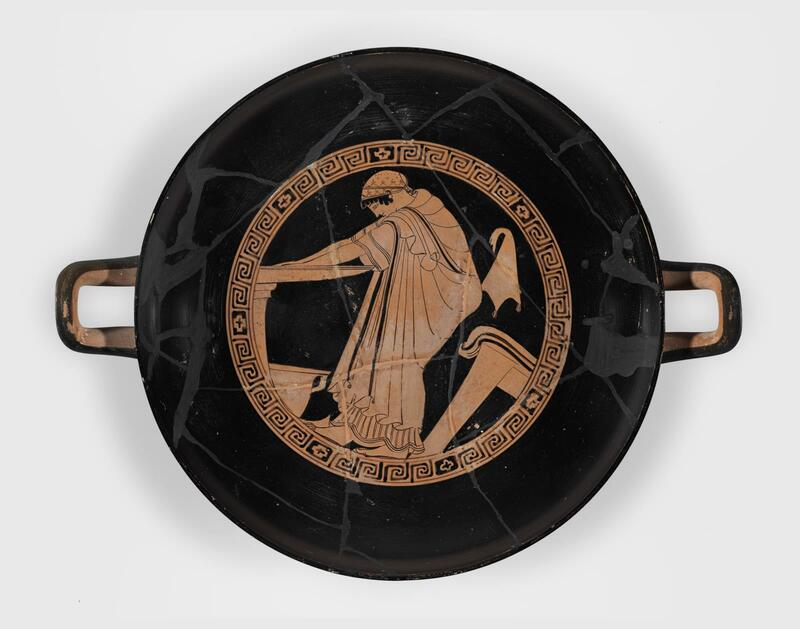 Interior: a woman in a dress (chiton), cloak (himation) and hair cloth (sakkos) washing her hands in a flat basin (louterion). In field, the end of a couch, vessel on floor, and goatskin hanging in background. Condition: Repaired with slight restorations.